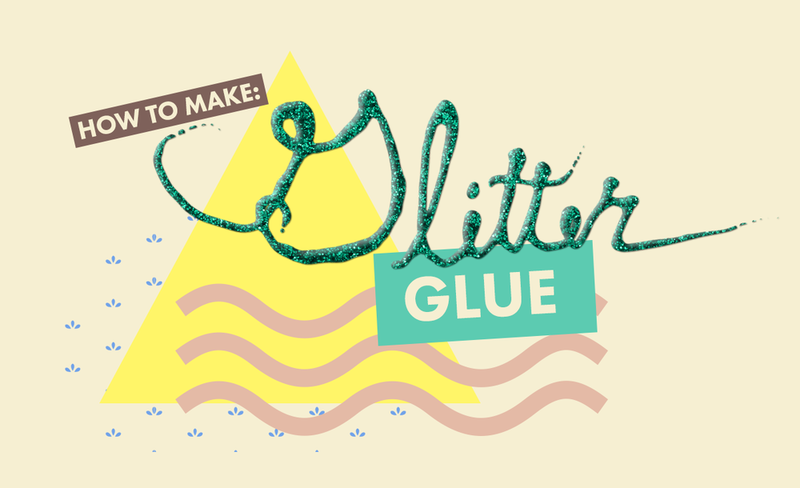 Sorry to disappoint if you thought this was a tutorial for how to make glitter glue IRL, BUT I hope this digital fabrication of it will bring you similar levels of joy. Glitter is one of my favorite elements, maybe because it's often the opposite of professional so if I'm using it that means I'm working on a fun personal project that doesn't have any risk or feedback to it. I've been using the same glitter .pat files (mentioned below) for YEARS now and have learned some fun (basic) tricks with it. 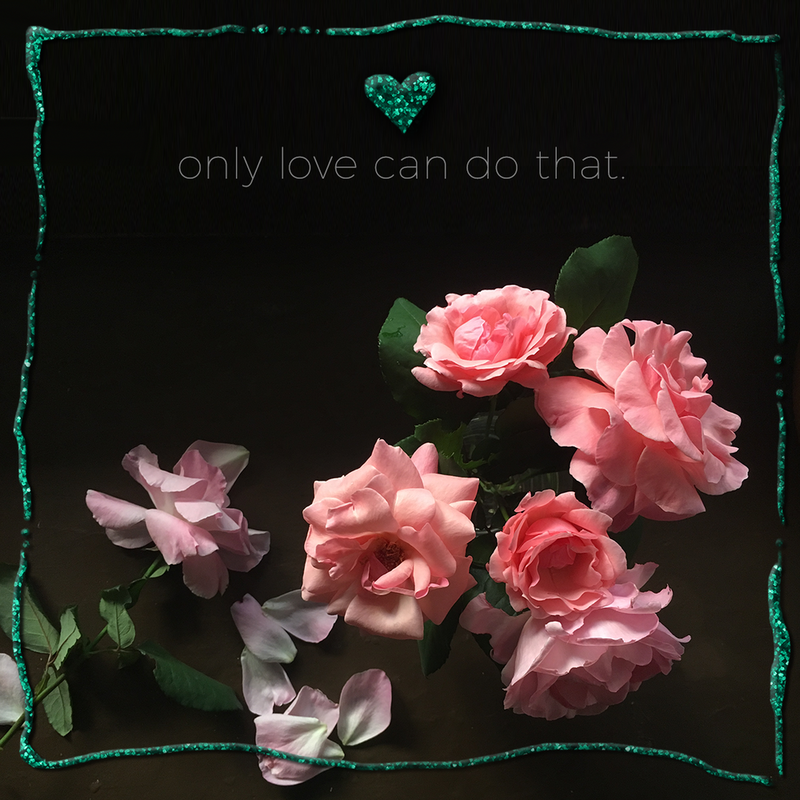 In this post you'll learn how writing or decorating rather messily before adding this glitter glue magic is a great way to get a little more loose in the digital space and have fun! 1. Have a new layer of its own where you roughly draw the words or shape you'd like to be in glitter. Make sure your brush is 100% Hardness, 100% opacity, and make your best judgement on size for your needs. Imperfection— Here imperfect is best. We're creating the look of something hand drawn remember, if the letters were perfectly spaced and squiggle free, it would look fishy. Color— We're eventually going to overlay the pattern on this so just use something easy to see. 2. Taper some edges like the glue is running out, and conversely glob some edges, ends, and all places lines meet. Consider how glue consistency is- there are never sharp corners, and when lines meet they sort of join and bead together. Double-click on your layer to add a layer style. Hit 'Pattern' and choose from the drop down one of your new glitter options. Play around with the colors and scales for your needs. For some reason, (currently) Photoshop can scale your .pat files at 100%, or 50%. I have no idea why (if anyone knows the answer please share your wisdom), but any other percentage that does not fit this perfectly looks horrible and blurry. But luckily, the designer of these glitter patterns included images of glitter at different zooms. It might take some time to figure out which color and scale, at either 100% or 50% works best for your final output. Always judge your layer styles by final output! My example is 1200x1200 if you are wondering/following my numbers. When picking which glitter color to use, I usually end up adjusting my background later depending on what the color inspires. Of course, you can always change the glitter color with a 'Hue' adjustment. Congrats! you have glitter! ... but not glue yet. 4. We're going to add highlights/shading to give the illusion this is glue. To do this, we're going to use good ol' Bevel & Emboss. This part of the layer style modal can be frightening with its ability to create the kind of "late 80's uber-intense we're using computers now so lets show off the effects we can do with them" styles. BUT, it's all about subtlety here, and using the lowest settings we can to achieve the look. Make sure your highlights are overlaid as "Normal" - this is the most important part! This is how we achieve the glossed over glue style, and we luck out with this feature. This step also takes some playing around and testing to see what works best at your scale. Remember at default settings, Photoshop's layer styles do not scale! So work at the final size (or higher if you will end up converting it to a smart object). I also recommend a very subtle drop shadow. Pay attention to the tapered edges you made when judging. Essentially we don't want this shadow to be even noticed, it should enhance the illusion without it being super clear why. 5. We're basically there! At this point I like to adjust the original drawing if it needs. For example, I felt my tapered edges needed to be even thinner after seeing the glitter glue texture on, so I used the eraser tool with no feather to adjust. 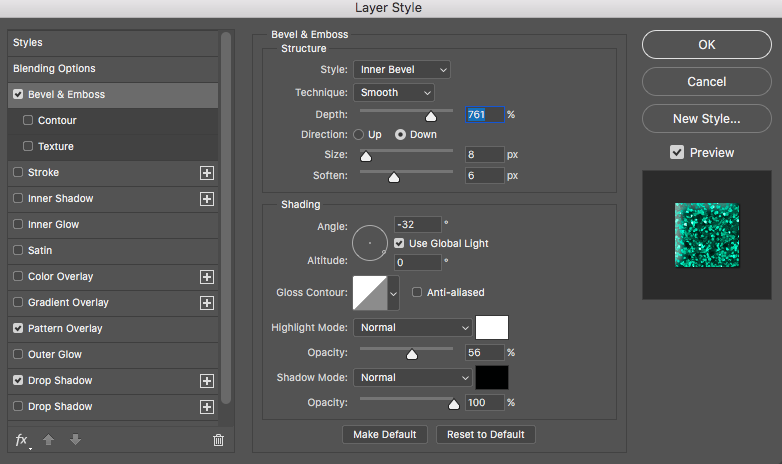 You can add and adjust freely to this layer, the styles of course will stay the same. CONGRATS! You've successfully made some glitter glue with no mess to your home. If anyone uses this technique for a project I'd love to see what you've made. Adding glitter glue is so much fun, even if its just for a personal art project. Hope this helped or inspired you do make something!